Here’s another blog post about one of my patients! Rosa Mondragon never thought her daughter’s headache was a cause for concern. Her daughter, like most teenagers, was often on her phone texting friends and catching up on social media. So when 18-year-old Sulecma started complaining about bad headaches, Mondragon thought the phone was the culprit. Neither would have imagined that the headaches were life-threatening and would require the expertise of UC Irvine Health neurosurgery team to treat their true cause — bleeding in the brain, a rare condition in someone so young. The pain began last December. After a week of mild headaches and nausea, Sulecma woke up with severe pain. “It was the worst headache I’ve ever had. I just remember my dad was telling me to wake up, and I was in so much pain I couldn’t talk to him,” recalled Sulecma, who lives in Riverside. Soon Sulecma lost consciousness. Mondragon administered CPR while her husband called 911. Paramedics rushed her to a nearby hospital in Riverside, where she was diagnosed with a subarachnoid hemorrhage — bleeding in the area between the brain and the thin tissues that cover it. 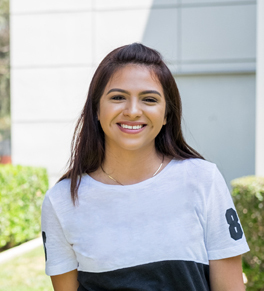 Sulecma’s condition was critical and physicians quickly made the decision to transfer her to UC Irvine Medical Center, the region’s only nationally certified comprehensive stroke center with the largest team of fellowship-trained neurologists, neurosurgeons and neurointerventionalists. UC Irvine Health cerebrovascular neurosurgeon and neurointerventional specialist Dr. Li-Mei Lin and her team examined Sulecma immediately upon arrival. A CT angiogram revealed the cause of the hemorrhage — a brain aneurysm. Lin’s team performed endovascular coiling of the aneurysm, a procedure in which thin catheters and wires are guided through the arteries of the body up into the brain, and thread-like platinum coils are placed within the aneurysm to prevent it from rupturing or bleeding again. After the procedure, Sulecma had daily ultrasounds in the Neuro-Intensive Care Unit to evaluate for vasospasms, or the narrowing of the blood vessels, that can happen up to two weeks from the initial hemorrhage. “Sulecma is a very lucky girl. Subarachnoid hemorrhages are very dangerous. Fifty percent of patients die before reaching the hospital, and those who survive often are permanently disabled,” Lin said. Sulecma was discharged just in time for her family’s Christmas and New Year’s celebrations. But in February, a follow-up angiogram revealed the aneurysm was regrowing. Lin offered a curative treatment using flow diversion with the Pipeline™ embolization device, the latest neurointerventional technique for the treatment of brain aneurysms. This method uses a unique stent that is placed across the opening of the aneurysm to divert the blood away from it. The flow diverter stent also allows for new blood vessel cells to form, sealing off the opening of the aneurysm and healing this diseased part of the artery. Lin is one of the most experienced physicians in the region using flow diversion. Sulecma’s latest cerebral angiogram was performed only five months after treatment and showed the aneurysm was more than 90 percent gone. Although brain aneurysms and subarachnoid hemorrhages are extremely rare in people under 40, Lin says it is important to recognize when a headache could be a sign of a more serious condition. Today, Sulecma is neurologically intact — meaning she does not have speech impediments, weakness of arms and legs, visual problems or any other common side effects of subarachnoid hemorrhage. She is looking forward to starting her senior year at Norte Vista High School in Riverside and making plans for college. “I want to become a nurse,” Sulecma said. Check out the reprint below of a blog about one of my patients! What happens if a loved one has a stroke while on vacation? Having a stroke while on vacation is not anyone’s idea of a good time. But for a 48-year-old central California woman, it was a lifesaver. Last fall, she collapsed while visiting family In Orange County. Comatose, she was rushed to UC Irvine Medical Center where the experts at theComprehensive Stroke & Cerebrovascular Center diagnosed her with a subarachnoid hemorrhage. This occurs when an abnormal bulging blood vessel in the brain — an aneurysm — has burst, causing bleeding in the space between the brain and the tissue covering the brain. Permanent brain damage or death may result if not treated quickly. Lin immediately treated the aneurysm through a minimally invasive procedure called endovascular coiling. Rather than making an incision in the skull, the physician passes a catheter through the femoral artery in groin up into the artery containing the aneurysm. Metal or platinum thread-size coils are then packed into the aneurysm to prevent blood from flowing into it. Thanks to the advanced care she received, the patient walked out of UC Irvine Medical Center two months later and was able to return to her job as an attorney within six months. Why a comprehensive stroke center? Stroke is the No. 1 cause of disability and the No. 5 leading cause of death in the U.S. The “comprehensive” reference is not just a marketing slogan. Before a hospital can call itself a comprehensive stroke center, The Joint Commission, the nation’s leading healthcare accrediting agency, must certify that the hospital has the specialized care, expert staffing and advanced technology necessary to deliver the highest level of stroke care. More than 100 certified comprehensive stroke centers in the U.S. follow guidelines developed by the American Heart Association and American Stroke Association. Comprehensive stroke center certification means a hospital is ready 24/7 to deliver advanced stroke care. It’s the highest level of stroke certification, earned by meeting standards for the most complex stroke cases. The American Heart/American Stroke Association publishes a free locator of Joint Commission certified stroke centers. When emergency medical personnel arrive, tell them you want the your loved one taken to a comprehensive stroke center. If there is not one in the area, they will be taken to the nearest community hospital for treatment. 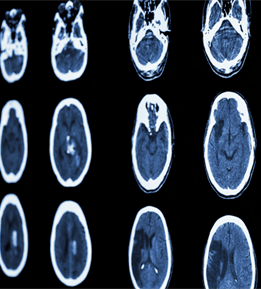 Many community hospitals are not equipped to offer the specialized care and advanced technology found at a comprehensive stroke center. You may want to request a transfer to the nearest comprehensive stroke center after your loved one is stabilized. If the hospital is not a certified primary stroke center, does it participate in a telemedicine program with a comprehensive stroke center? What kind of stroke did my loved one have — ischemic or hemorrhagic? Can the hospital administer the clot-busting drug tPA? Can the hospital remove the clot through an endovascular procedure? Will my loved one be administered tPA and then transferred to a comprehensive stroke center? Does the hospital perform a procedure called vetriculostomy to drain any fluid buildup on the brain? Does the hospital offer the surgical treatment called clipping to prevent further re-bleeding? Does the hospital offer the endovascular treatment called coiling to prevent further re-bleeding? Will my loved one be stabilized and then transferred to a comprehensive stroke center? Most strokes, called ischemic, are caused by a clot that blocks blood flow to the brain. Less common is the hemorrhagic stroke, which is usually caused when a blood vessel in the brain bursts. Hemorrhages account for only 13 percent of strokes, but lead to 50 to 80 percent of stroke-related deaths. If your loved one experiences any of these symptoms for longer than a few minutes, immediately call 911. Don’t ignore the symptoms even if they go away before the emergency responders arrive, and do not refuse medical attention. Make note of the time when the symptoms started, an important piece of information to relay to the medical staff. My Story of Meningioma tumor surgery with Dr. Lin in March of 2016. When I met Dr. Lin I felt I had won the Lottery. Her bedside manner established a bond of complete confidence and trust in her abilities to heal me. Each time she entered my room at the hospital she would light up the room with her smile and kind friendly approach. She has a brilliance I admired and she was someone I had dreamed of being all my life. At 10 years old I had a hernia operation and I want to be a Dr. As I grew up I was not a good student in school. I was good with my hands. I am a welder, machinist and electrician. I repair mechanical things as if doctoring. I do delicate welding procedures and special cosmetic and tight mechanical machining. I was EMT and Volunteer Firefighter in my 40’s. I loved being at the bottom of the medical team near Nurses and Doctors to see their work. Dr. Lin for me is the Flower from the Disney movie Tangled. She lit up my room each time I saw her so she had a power healing presence about her. Her explanations of procedures and her game plan were so complete and accurate it gave me a confidence and trust in her abilities. As she explained the risk factors of my surgery I was feeling confident I was going to be part of her team because my personal goal in life is to be a very healthy person and with that I was going to do my part to help her accomplish her goal of making me healthy again. After my operation I no real pain or suffering. Dr.Lin and her teams procedures were perfect. I feel as though UCI and Dr. Lin treated as me though I was the President of the United Stated States. I would love to meet Dr. Lin’s parents to tell them thank you for producing my hero.